Its almost here. One day left! check out this review for Russell Stover's Caramel & Marshmallow Pumpkin. Nice work guys! Check back tomorrow for yet another Halloween review! For more on this little gem, please check out the written review, or all of our reviews over on the reviews page. A new Halloween review for you today. Its the super creepy Scary Eye! For more, please check out the full written review, or all of our reviews over on the Reviews Page. Expect another Halloween review tomorrow! Its Friday, and the Friday before Halloween at that. 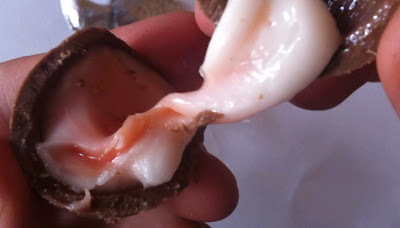 So today I've got another fun Halloween review for you, please check out this look at Original Foods, Marshmallow Brooms. Yeah, not so great... Anyhow, if you want more in depth analysis be sure to check out the full written review, or look at all of our reviews over on the Reviews page. Halloween is almost upon us and I realized that I haven't really gotten into my favorites here on the Candy Aisle. Everyone has the candy that makes them happiest and Halloween was like a proving ground for all other times of year. The candy runs the gamut from the absolute best, to the total pits. And the best part about the game is that you have absolutely no control over what you'll end up with. This is a really special time of year, and it should be celebrated. A few of my favorites are demanding their due, so let's have a look. Of course I am a sucker for true candy bars. So anyone giving out fun sized chocolate was a winner in my book. I always heard about that mythical house that would give out full sized chocolate bars, but it wasn't in my neighborhood. 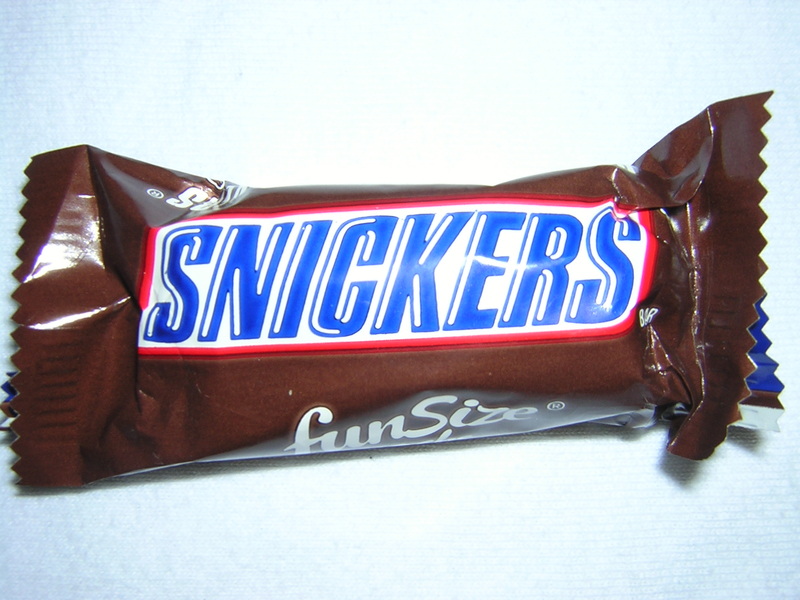 Some of my friends lived in ritzier places though and I'm sure they saw the full sized Snickers and Mars bars. For me I was just happy to get something Fun Sized! Snickers and Jersey Milk were the most common, but I was a sucker for anything real and fun sized. Butterfinger and Baby Ruth were always appreciated because for a long time you couldn't get Butterfinger here in Canada, and you still can't get Baby Ruth (except at this time of year). 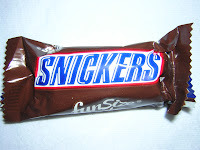 I really liked the mini Snickers as a kid, but thinking about it now I can't say if I'm actually sure they would work with full sized peanuts in such a small bar. Mars bars and 3 Musketeers we're really my favorite fun sized bars. Thankfully these were also both pretty common in my neighborhood of Toronto growing up. What else struck my fancy? Well chips were always a change of pace. You could never count on getting them. 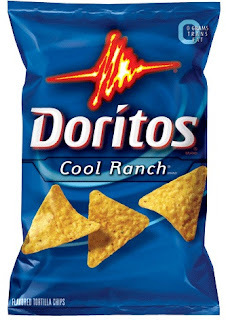 In fact I'm sure there were a few years when I didn't get any chips, but a mini bag of Doritos Cool Ranch would always be appreciated as a break between candy bracelets, and mini chocolates. Rockets. In the States these are called Smarties. I seriously LOVE these things. They have that sightly sweet and slightly tart taste that was around long before the actual SweetTart candies. They are small, and totally portable, even concealable, in your pocket as you went off the school. Making for a great mid-class snack. And you didn't have to even eat the whole pack at once! In terms of taste, form factor, portability, everything, Rockets are top notch. Finally you get into the odd man out circumstances. Nowadays no one is going to get kids candy cigarettes (actually while they do still make them they are mostly marketed as candy 'sticks' instead of cigarettes). 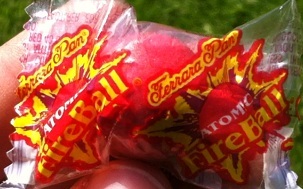 And Atomic Fireballs are such a hassle to get a hold of compared to other treats that these aren't too common anymore. But these are great examples of the weird and wonderful beauty of Halloween. As a kid you just never knew what you were going to get. 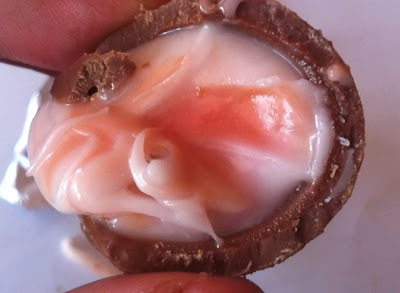 It could be a candy, or a chocolate you'd never tried before. As a Canadian, it could excitingly be something that is only available in the States. Or it could just be an old favorite. The possibilities were endless. 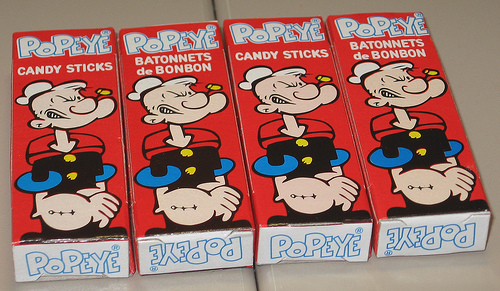 There's a simple joy, and wonder in finding out what sort of candy you'll get on Halloween as a kid. Its so exciting, and such an adventure, aside from all the sugar and actually eating everything. For me a huge part of the magic of Halloween was just in the act of trick or treating. It's a great experience, and I definitely hope to continue the tradition with my kids. We've got another great review for you today. 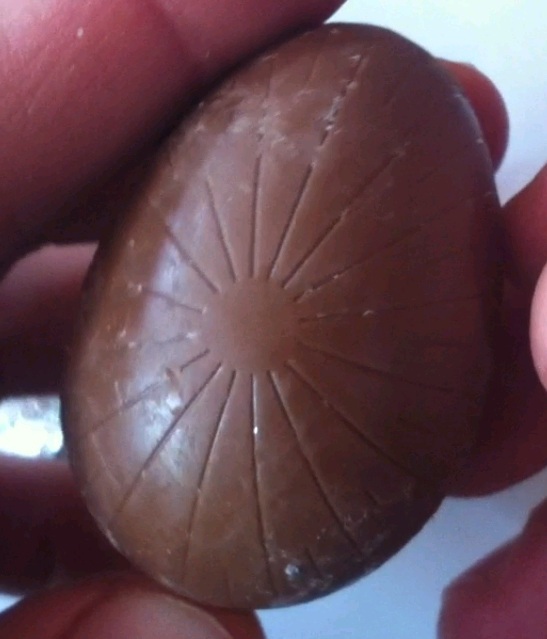 Its the Russell Stover Milk Chocolate Pumpkin. Enjoy. So I guess its just kind of middle of the road.... look for more great Halloween reviews here on Walking the Candy Aisle as we get closer to the big day! Also please check out the full written review, or all of our reviews over on the Reviews Page. Good news, at least temporarily I've managed to get back on track for the video reviews. 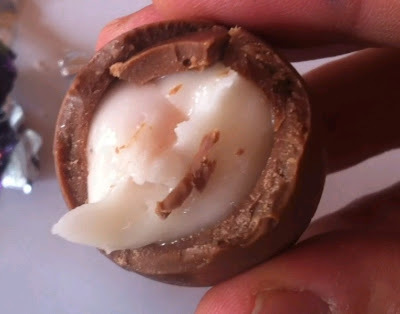 Please enjoy, after the slight delay, this review for Cadbury Screme Egg Snack Cakes. Definitely an interesting endeavor. Something worth checking out if its the kind of thing you think you might like. In case you missed it on Friday, here's a link through to the written review, as well as all of my reviews over on the reviews page. Later gators.